All children have a right to experience a sense of belonging in early childhood settings. However, for children from diverse cultural and linguistic backgrounds, there can be limitations around how their daily life is represented. 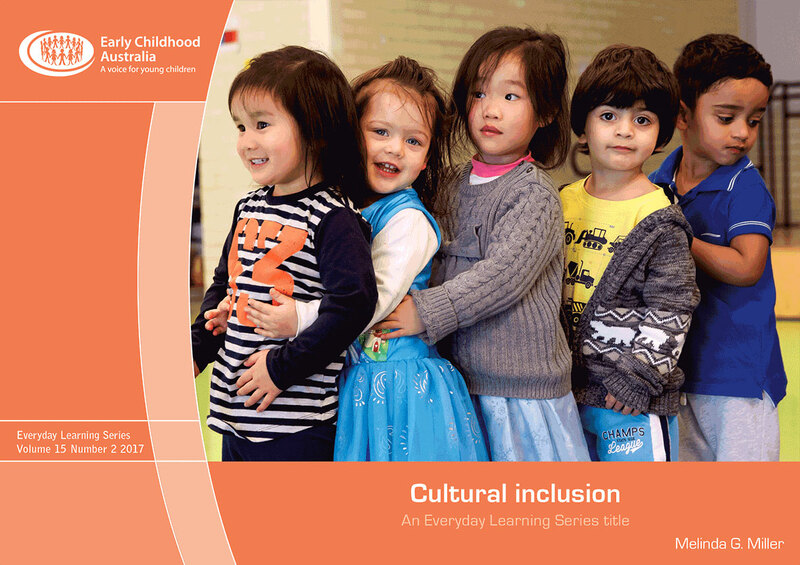 This Everyday Learning Series title discusses how early childhood can be a critical time for children to develop empathy and attitudes that challenge assumptions and biases about people from diverse cultural and linguistic backgrounds, and how parents/carers and educators can support cultural inclusion. All children have a right to experience a sense of belonging in early childhood settings. A sense of belonging ensures that children see their culture, identity and language reflected in their daily program. However, for children from diverse cultural and linguistic backgrounds, there can be limitations around how their daily life is represented. Early childhood is a critical time for children to develop empathy and attitudes that challenge assumptions and biases about people from diverse cultural and linguistic backgrounds. As parents/carers and educators, it is important to understand the critical role you play in supporting the attitudes and behaviours that demonstrate respect for diversity and difference. cultural inclusion and its barriers. ECA offers libraries and institutions a one-off perpetual access fee of $150 per e-books. Please contact ECA directly on 1800 356 900 (free call) to obtain the licensing agreement or to order.